Robert E. (Bob) Willett has 16 years' experience in financial and regulatory energy journalism. 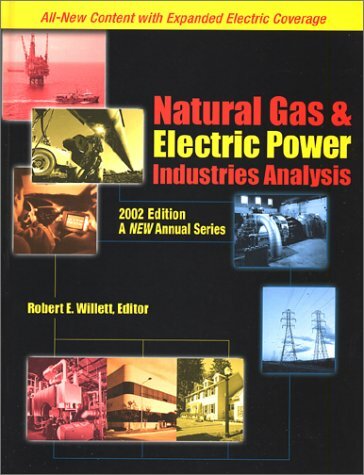 In 2000, his company published Natural Gas Industry Analysis (For the Gas Year 2000-2001) and now presents Natural Gas and Electric Power Industries Analysis (2002). In the 1990s, he edited the Natural Gas Yearbook (New York: John Wiley and Sons) through 1997, its last publication date. Since 1986, he has been associate publisher of Natural Gas magazine. Additionally, he has been a member of a number of other publishing ventures, in energy and other fields. He formed Financial Communications Company in 1978, writing analysts’ presentations, annual reports, and other business documents for energy and other companies. Previously, he assisted industrial companies in international development and was in senior executive positions for two Fortune 500 multinational industrial companies. He has an MS in communication (except thesis) from the University of Houston , an MBA in finance (Columbia University), and a BA in economics from the University of Georgia. He is a CPA. Since 1976 he has been a Houston resident and enjoys fitness activities as a hobby.